Can we take a minute to appreciate just how weird neutrinos are? The second most abundant known particle in the universe passes right through most regular matter like a ghost—you get hit with around a quadrillion of them from the Sun every second. Not only that, but neutrinos can even change between three different identities. They are spooky as hell. Given their spookiness, neutrinos have also presented mysteries that humans hope to crack. New, sensitive experiments are ramping up to study the particle’s weirdness, but an older, somewhat infamous experiment called OPERA at CERN, the high-energy physics lab in Geneva, Switzerland, has released its final round of results, which add further evidence of neutrinos’ strange identity-swapping behavior. Physicists are excited about these results. “This is really amazing when you think of it. It is like if you send a cow into a tunnel and at the other end a horse comes out,” Freya Blekman, a particle physicist at CERN’s CMS experiment who was not involved in the most recent study, told Gizmodo. There are three flavors of neutrinos, called the electron neutrino, the muon neutrino, and the tau neutrino. Physicists have long predicted that the neutrinos should be able to swap flavors—which, according to theory, would also imply that neutrinos had mass. Researchers at two experiments, the Super-Kamiokande Observatory in Japan and the Sudbury Neutrino Observatories in Canada, discovered that oscillation and won the Nobel Prize for it in 2015. Other experiments have confirmed the behavior, too. But the oscillation had never been directly observed from the muon neutrino to the tau neutrino. This is what scientists built OPERA for. OPERA is a detector under a mountain in Gran Sasso, Italy (where several sensitive experiments are located) that receives a beam of muon neutrinos traveling underground from CERN. Its two targets contain a combined 150,000 20-pound lead and photographic film “bricks” arranged in consecutive walls with plastic between them. 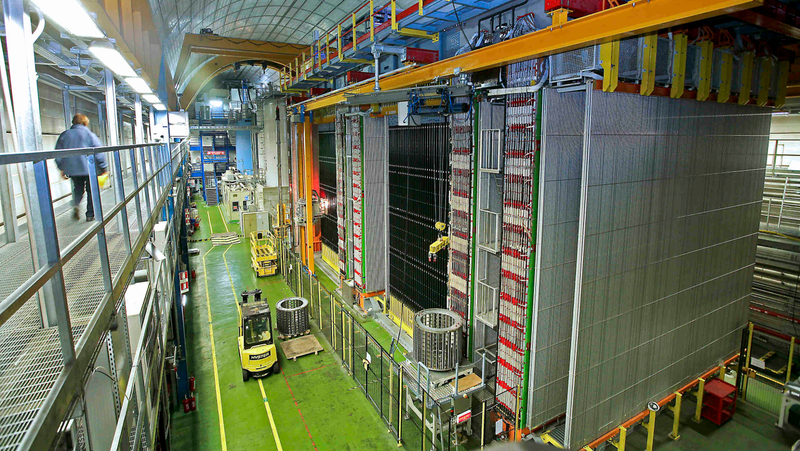 Muon neutrinos from CERN occasionally interacts with the bricks, which the plastic and magnetic measurement devices record. The bricks are then removed and scanned for the tau neutrinos. Again, it’s like CERN sending a beam of cows and OPERA waiting to see if they spot a horse. The detector first observed the muon-to-tau oscillation back in 2010 and shut down in 2015. But scientists have continued looking at the publicly available data—and have been able to identify 10 instances where a muon neutrino turned into a tau neutrino, according to a new paper published in Physical Review Letters. These results give a happy ending to a rather notorious experiment—you’re probably familiar with the OPERA experiment news from 2011, in which scientists thought they measured neutrinos traveling faster than the speed of light. They didn’t. But there are plenty of mysteries remaining for the teeny neutrino, and new experiments coming online to solve them. Past measurements seem to imply that neutrinos can oscillate into a fourth identity that doesn’t interact with other kinds of matter at all, called the sterile neutrino. Scientists see 6 percent fewer electron neutrinos coming out of nuclear reactors than they should. One experiment, called PROSPECT, is under construction at an experimental nuclear reactor at Oak Ridge National Laboratory in Tennessee. Another, called the DUNE, will consist of four containers totaling 68,000 tons of encased liquid argon in a repurposed South Dakota mine. It will detect neutrinos beamed over from Fermilab in Illinois. It’s similar to the OPERA experiment, but way bigger, and will be able to look at neutrino oscillations with much more detail, said Blekman. All that is to say, scientists really care about neutrinos. They could be holding secrets beyond the Standard Model of particle physics, answer fundamental questions about why there’s more matter than antimatter, or even be used to observe the weirdest phenomena in space. 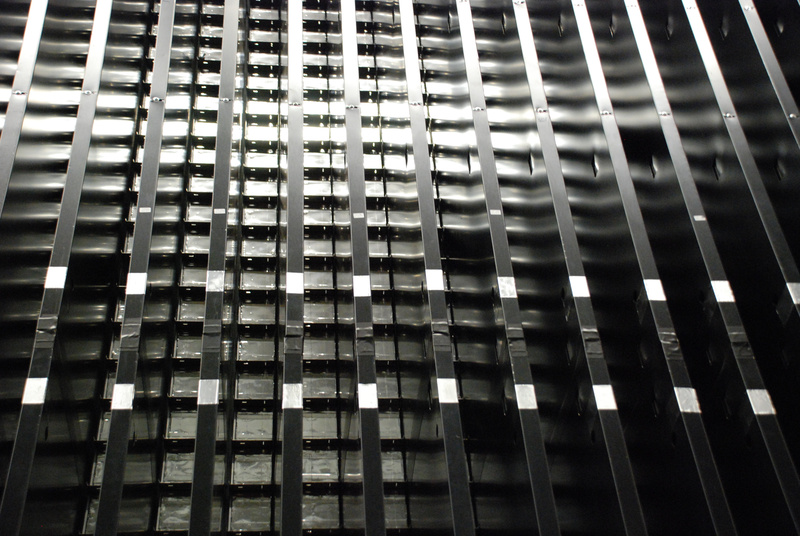 OPERA’s days may be over, but research into neutrinos definitely isn’t.